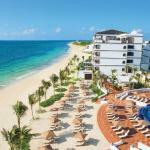 Cardiology and Emergency Medicine for Primary Care is organized by MCE Conferences and will be held from Mar 15 - 17, 2019 at Now Jade Riviera Cancun, Puerto Morelos, Quintana Roo, Mexico. The target audience for this medical event is All Physicians and other Healthcare Professionals seeking clinical information about issues in Cardiology and Emergency Medicine. This CME Conference has been approved for a maximum of 12.00 AMA PRA Category 1 Credits. This conference is designed to provide primary care clinicians with up-to-date, evidence-based information on commonly encountered Cardiology medical issues, while suggesting pragmatic approaches to clinical management. The discussion-based format of the conference will encourage audience participation through dynamic interactive lectures and case-based studies. our national speakers will present and critically assess recent advancements and industry updates in Cardiology for Primary Care, with the goal of enhancing the knowledge-base and core competence of attendees. The successful completion of this interactive program diagnosing, treating, and prescribing the most effective courses of treatment, with the ultimate goal of improving patient outcomes. • Bradyarrhythmias: How SSSSSlow is Too Slow? • Stayin' Alive: Sudden Cardiac Death/Athletic Preparticipation Screening.